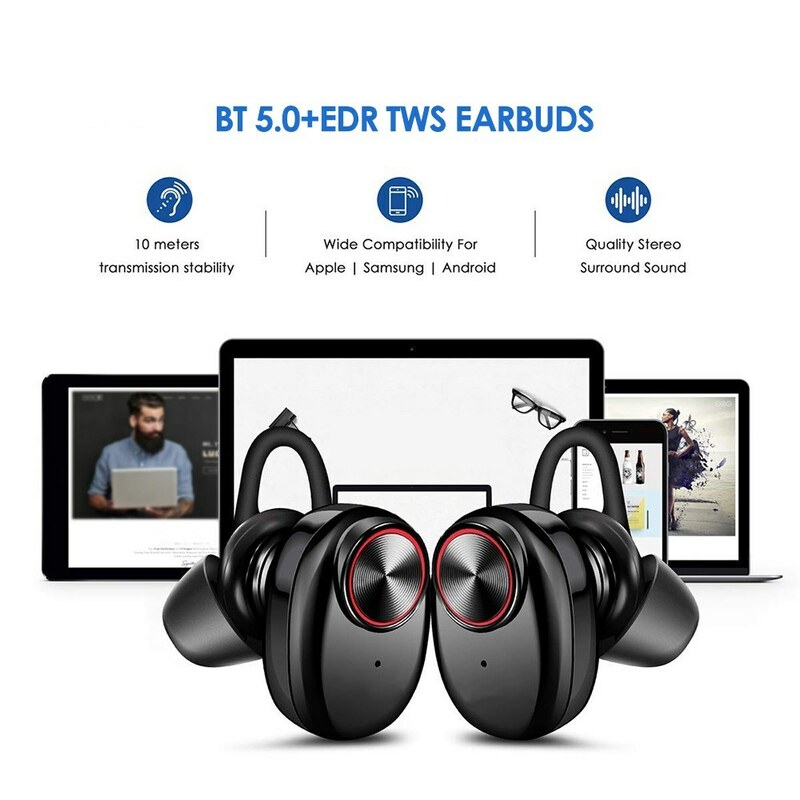 V5 TWS BT 5.0 brings high data transfer speed, stable connection and low power consumption. 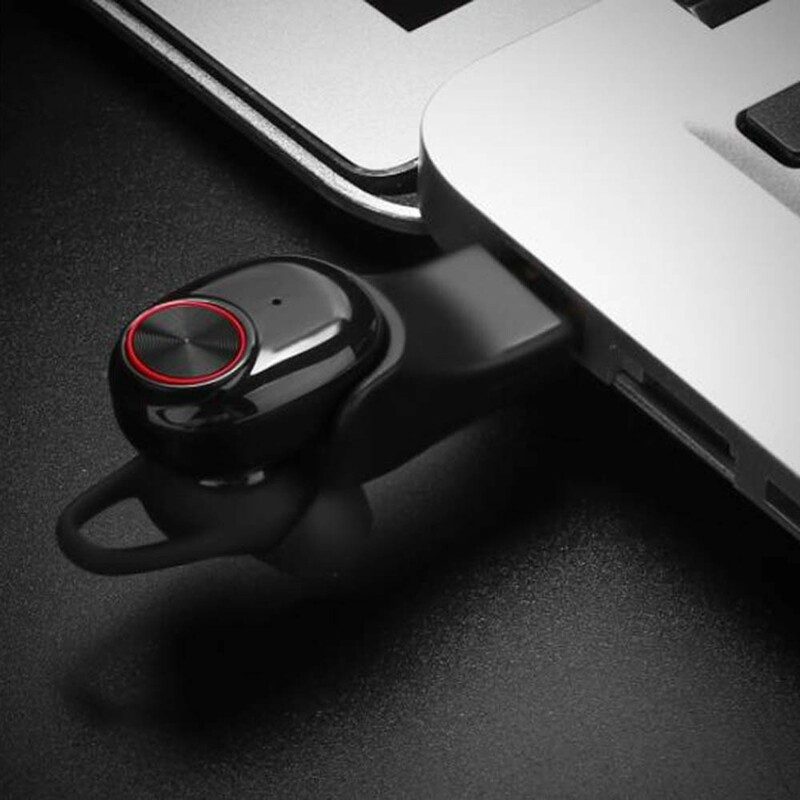 Wireless dual-ear design, left and right ear channel separation. You can use the headset solely or in pairs. Once taken out of the charging case, the left and right earbuds will automatically power on and pair up with each other. Easy and quick to pair with BT-enabled audio devices. Effective distance is up to 10 meters in open space. Built-in Mic at both left and right earbuds, which deliver clear and authentic talking sound in stereo mode, ideal for in-car calls or working use. 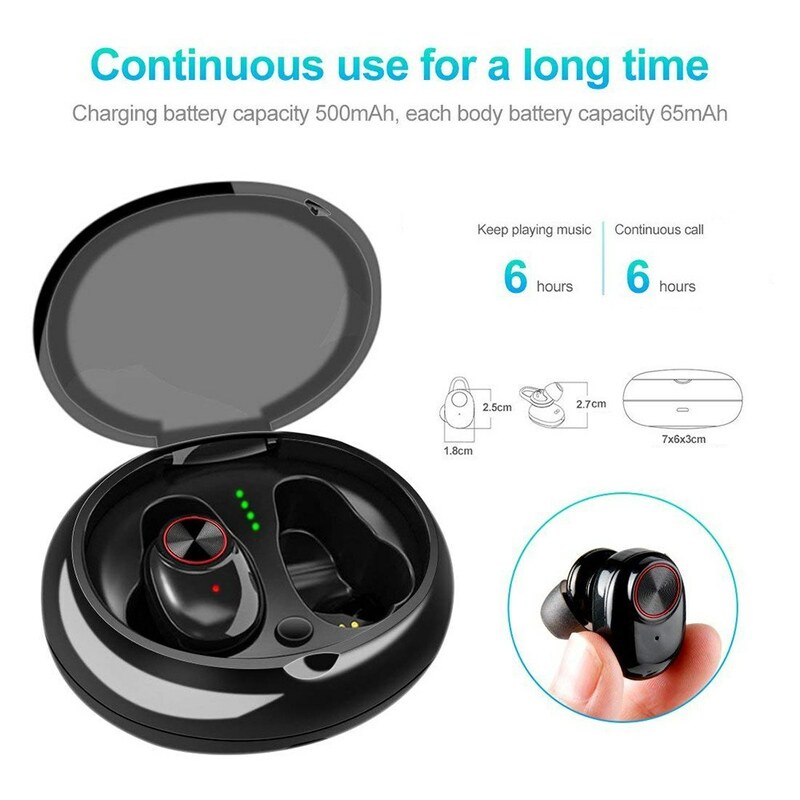 60mAh battery in each headphone ensures about 6 hours of working time, which can be charged automatically in the 500mAh charging box for about 4 times, supporting up to 24 hours playtime in total. Not only the charging box is magnetic, but the single-earbud USB charger we have prepared for you is also magnetic, plug and play, easy to use. BT 5.0 brings high data transfer speed, stable connection and low power consumption. Wireless dual-ear design, left and right ear channel separation. You can use the headset solely or in pairs. 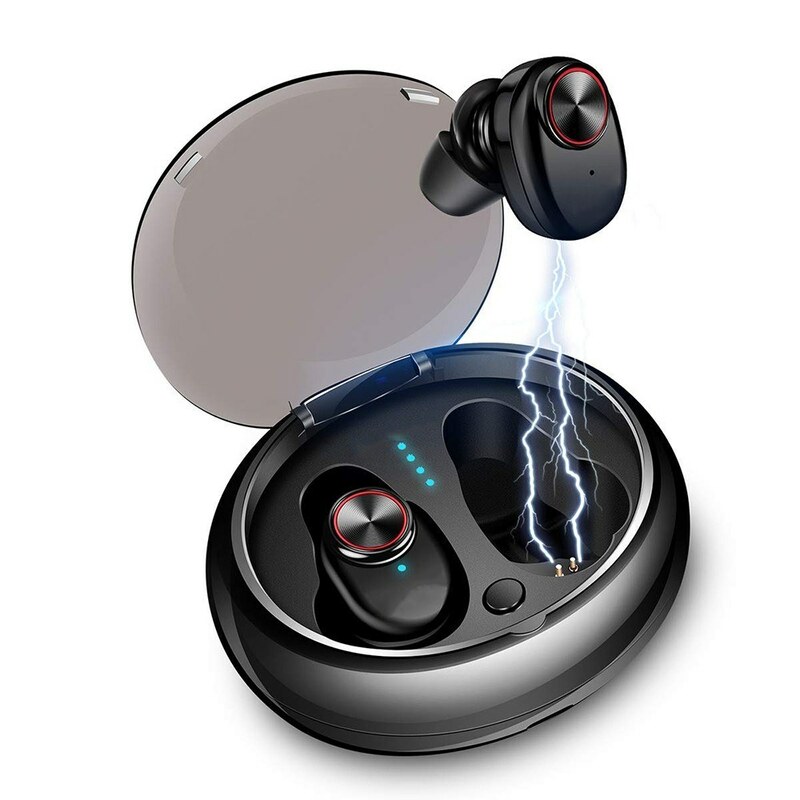 Once taken out of the charging case, the left and right earbuds will automatically power on and pair up with each other. Easy and quick to pair with BT-enabled audio devices. Effective distance is up to 10 meters in open space. 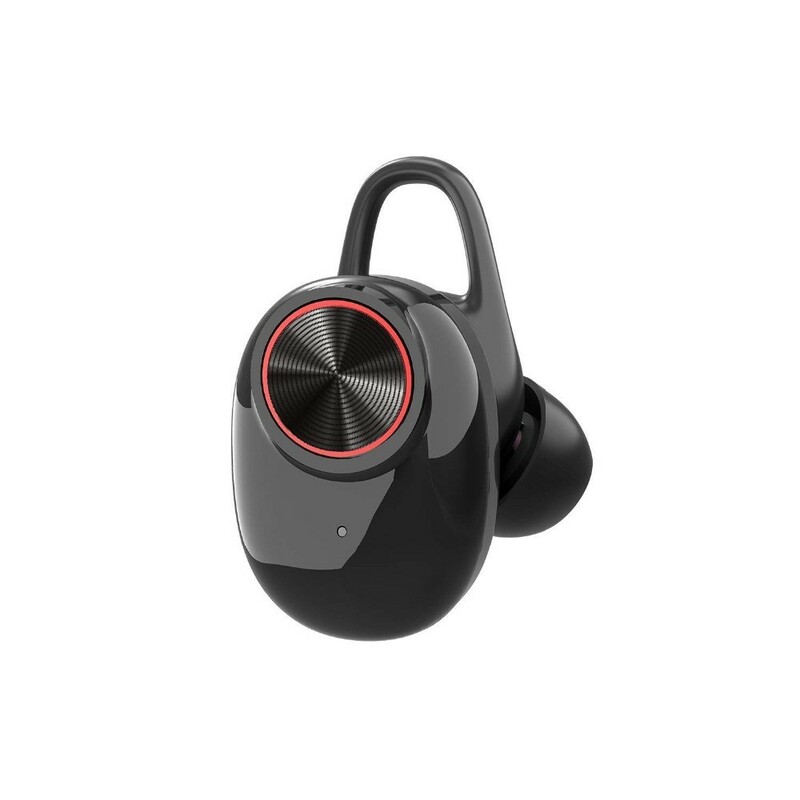 Built-in Mic at both left and right earbuds, which deliver clear and authentic talking sound in stereo mode, ideal for in-car calls or working use. 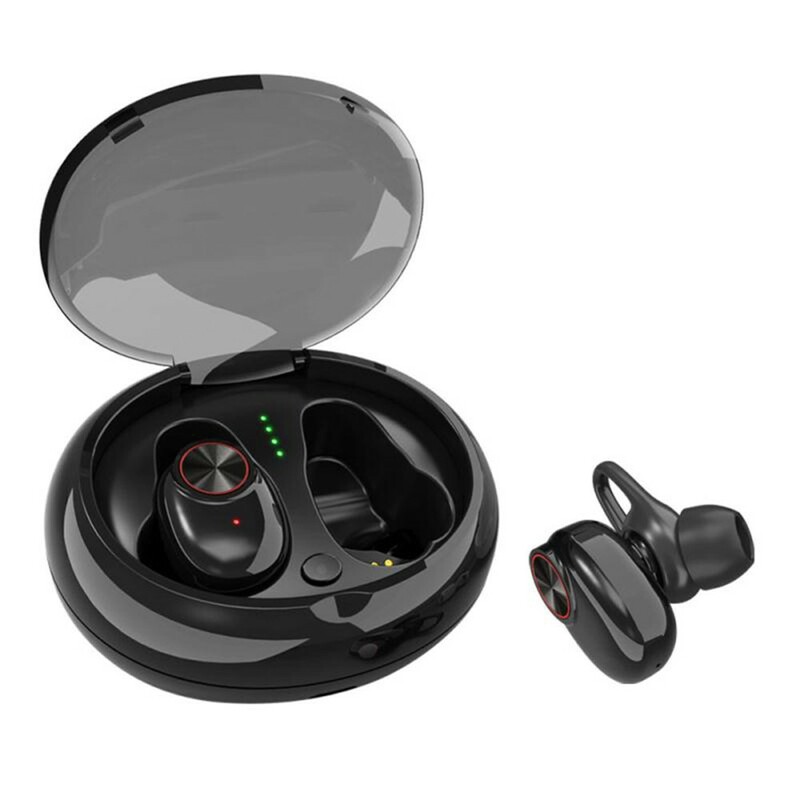 65mAh battery in each headphone ensures about 6 hours of working time, which can be charged automatically in the 500mAh charging box for about 4 times, supporting up to 24 hours playtime in total. Not only the charging box is magnetic, but the single-earbud USB charger we have prepared for you is also magnetic, plug and play, easy to use.